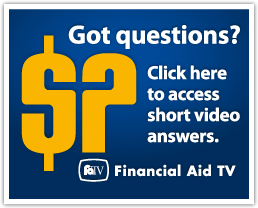 We strongly encourage you to complete the Free Application for Federal Student Aid (FAFSA) as it is used to determine student loans and work study. Reinhardt's Federal School Code is: 001589. Use only the official web address -- www.fafsa.ed.gov -- to access the FAFSA. There are websites with addresses which are similar to www.fafsa.ed.gov which charge a fee to redirect you to the correct governmental site. You will not be charged this fee if you use the official FAFSA site.